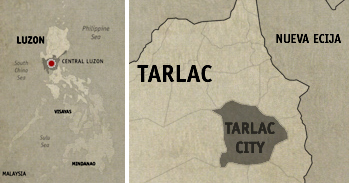 Literally just a few hop away from Microtel Luisita, our home for two nights in Tarlac, is the first destination for the Tara Quin Tarlac tour; the Aquino Center and Museum. I had no idea there’s a museum dedicated to the Aquino’s, one of the most prominent and loved (or hated, depending on where you stand) political names in the Philippines. 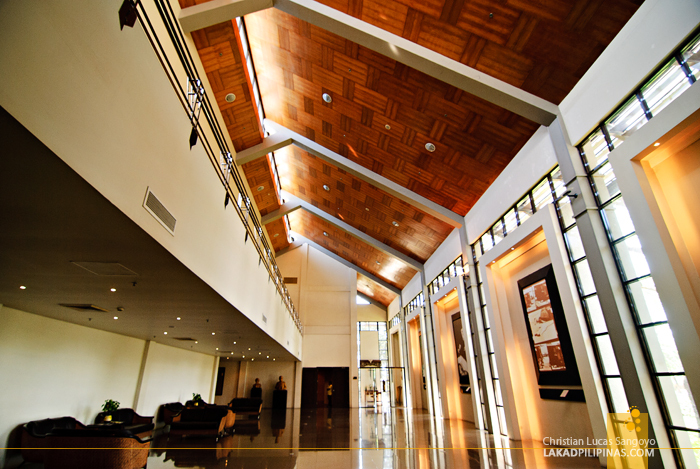 The Aquino Museum is housed in a spartan modern structure inside the Hacienda Luisita Complex. The center is not government owned nor government run, as was made clear to us before the tour started. Funding from it comes from the Ninoy and Cory Aquino Foundation. It would be better to visit the museum by dropping one’s political leanings first. Well, of course, that would be hard, especially for Marcos loyalists, and Dilawaan and Pnoy haters,. Because yes, here at the Aquino Museum, the yellow ribbon surely rules. But this museum really isn’t about the current Pnoy administration nor Kris Aquino—although you can see glimpses of them, when they were still cute, lol—throughout the museum. But this is about Ninoy and Cory. Two of the most memorable figures in recent Philippine history. With that in mind, let’s go right in. 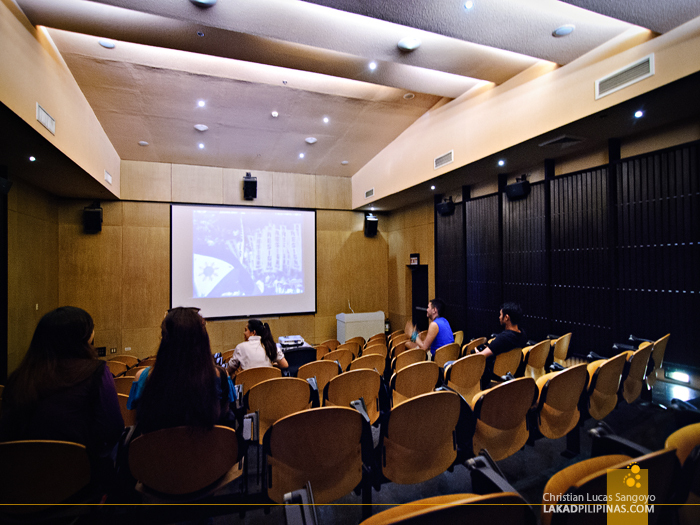 Before we went inside the museum proper, a video presentation was held at the center’s mini-theater. Since the Aquino museum is usually frequented by young students during their field trips, they make sure that these kids have a little background as to who Ninoy is and the political climate he was in at the time. They show two videos at the center, depending on one’s length of visit. 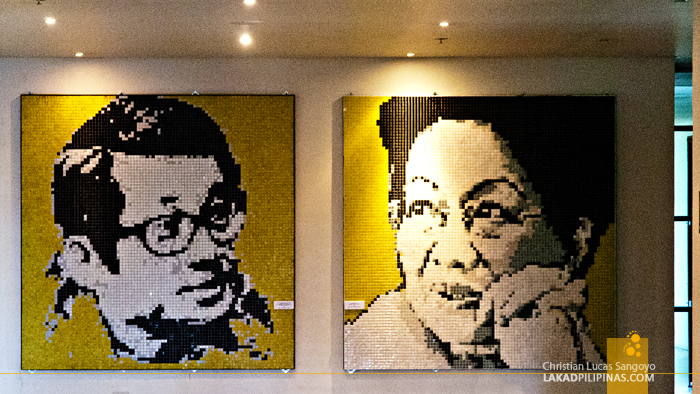 The first one, which they show more often (since it is shorter) is Ninoy: the Heart and the Soul. And the second longer one, The Last Journey of Ninoy, which they only show on special occasions or upon request. We were told that the latter is a real tear-jerker. I would’ve preferred to watch that one—if we only have the time. 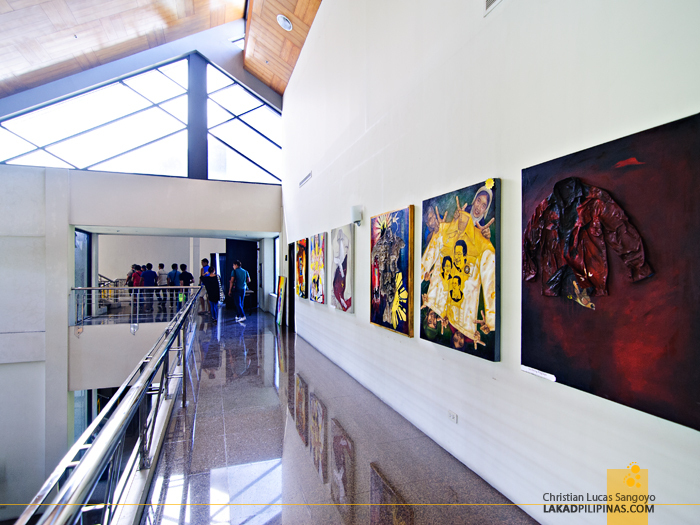 The open hall of the Aquino museum houses a collection of artworks entered at the Ninoy@30: Tragedy to Triumph Painting Contest. 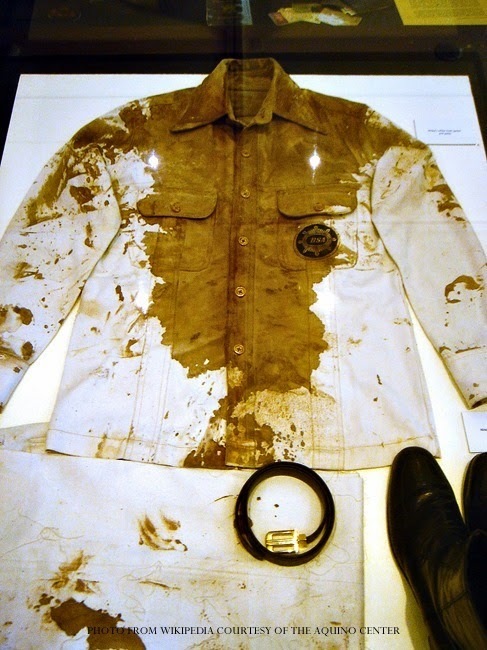 I noticed that the theme centered around Ninoy’s jacket, his favorite one as related to us by our guide, which he wore during his infamous assassination. 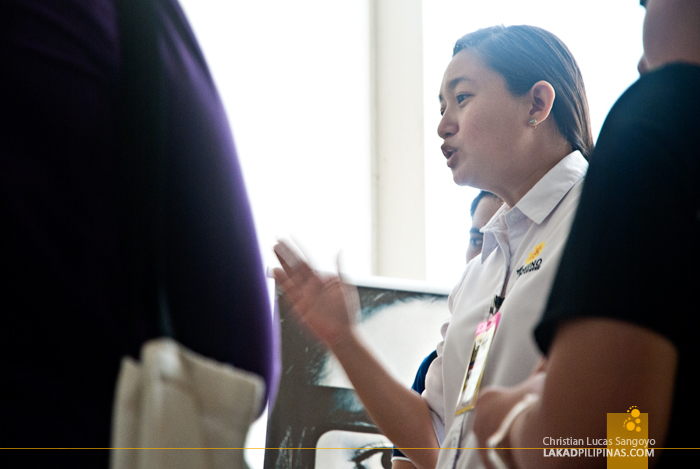 Led by Karen Lacsamana-Carrera, the Center’s manager, we proceeded inside the Aquino museum. 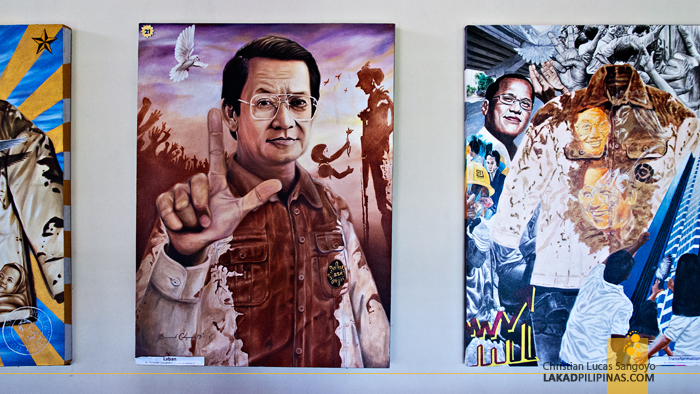 The exhibit hall is divided into two parts, that of Ninoy’s and those of Cory’s. Both are arranged by era, starting with Ninoy’s young stint as a journalist covering the Korean War, his exceptional rise to politics, up to his execution at the Manila International Airport. It is only unfortunate that all recording equipment are not allowed inside the museum as it houses some really remarkable artifacts. There’s Ninoy’s Rolleiflex TLR camera—which I’ve been so itching to take an Instagram photo of, his jail cell replica in Fort Bonifacio which kinda reminds me of the Aquino-Diokno Memorial at Fort Magsaysay, and his infamous white jacket—complete with dried up blood and broken spectacles. Undoubtedly the most chilling piece in the Aquino museum. 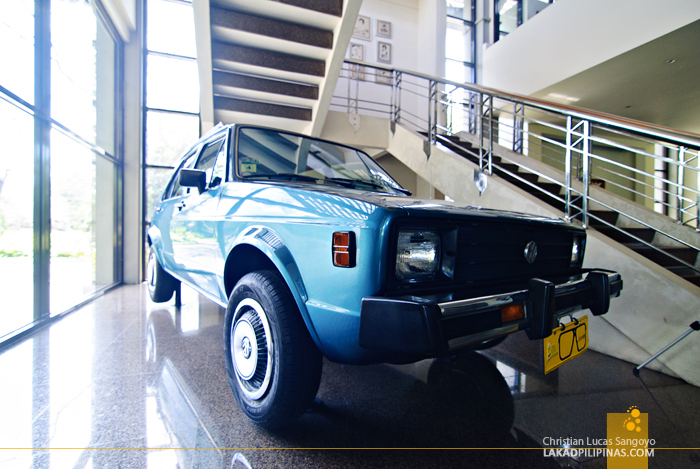 The only thing I was able to take a snap of was the Mark1 Volkswagen Rabbit car that the Aquino’s used during their Boston years. That was the era when former President Ferdinand Marcos allowed the then senator to travel to the US for an operation. His last before being gunned down on his way back to the Philippines. I’m a history geek so I really enjoyed digging in through the details of Ninoy’s and Cory’s history. But I’m pretty sure, geek or not, anyone who has any bit of interest of how we as a nation regained our freedom, would find a visit to the Aquino Center and Museum worthwhile. The last time i went there they don't allow to take pictures. Hi Christian, shaking hands with a great senator named Benigno Aquino, Jr. for the very first and last time was an experience of mine never to be forgotten. Yes, I wrote about that big moment during my college days in one of my posts last year. Can you imagine Ninoy Aquino becoming our RP President, how greater our country would have been? We lost our freedom during the Martial Law era and the late President Cora Aquino, brought it back for all of us in that remarkable bloodless revolution by the EDSA PPP that I witnessed Live on TV decades of years ago. 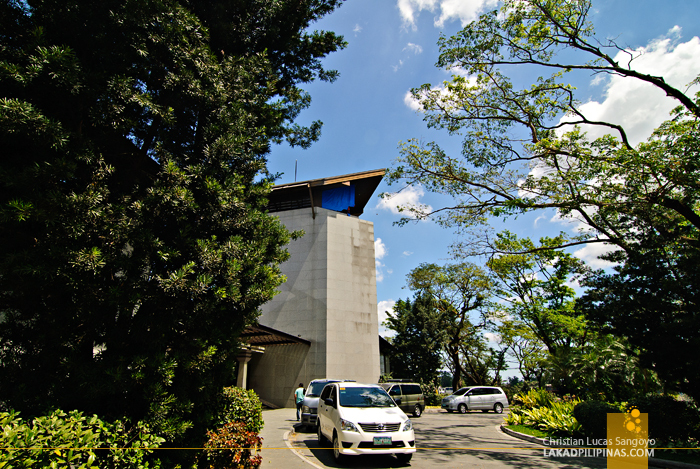 The ancestral home and the Aquino Center and Museum looked so historical, I should visit there someday. Awesome post, thanks for sharing our history in this way, via blogs.